This post for my recipe for scalloped potatoes has been planned for weeks… actually about two months. I originally planned on including it in my Easter menu suggestions… but decided to wait for Derby Day. Recently, in anticipation of coming up with menu items for Kentucky Derby Day… I‘ve tried numerous scalloped potato recipes. All of them didn’t pass the “Goldilocks Test”… they were either bland.. or the sauce wasn’t really a sauce .. it ended up into a cottage cheesy mess… some were just way to rich…and so it went….. I honestly don’t know why I did that. I have a recipe that I love… and have made for years. In fact, it was one of those recipes “by eye”…(don’t you love those?... ). I just know how many potatoes I need for each size baking dish I own… and just how much sauce to make. So much like the recipe I recently posted for macaroni and cheese… I made my scalloped potatoes and measured everything I did…. so the recipe below is the real deal. In a nutshell… you need thinly sliced potatoes, thinly sliced onions, fresh chopped parsley and snipped chives… you start off making a white sauce and add Gruyere or Swiss cheese to it… season it with a little thyme, salt, pepper and cayenne (cayenne is optional)… layer it in a baking dish… in the oven it goes… and in Emeril’s words.. BAM!... it’s done. Now I made mine with margarine not butter… and I made my white sauce with skim milk… you can use butter and whole milk if you prefer… but you do shave a lot of fat and calories off by using margarine and skim milk… and I doubt anyone would notice the difference. You may have a little sauce leftover... I wouldn't over-fill the casserole with sauce...otherwise it will run all over... if you do decide to use it all... use a bigger baking dish. The recipe below is for 4 servings… you can use two medium size au gratin dishes like I did.. or use one bigger dish… a 2 qt should be plenty big enough… I would recommend you use a rectangular dish as opposed to a round one… everything bakes better because the potatoes aren’t as deep… and the top is better… more surface area. In a large saucepan, melt the margarine over medium heat. Add the flour and mix to form a paste. Add about ½ the milk into the saucepan, whisking vigourously to remove any lumps. When the sauce is smooth, add the remainder of the milk and continue to whisk. When sauce begins to thicken, add the cheese. Stir until sauce is to desired thickness. Remove from heat. 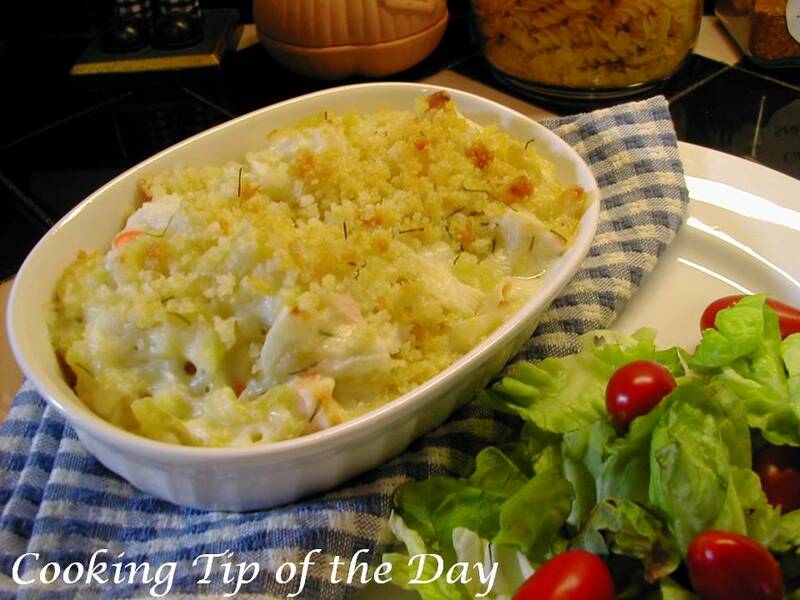 Spray your baking dish with cooking oil spray (butter flavor preferred). Layer 1 layer of potatoes in the dish. 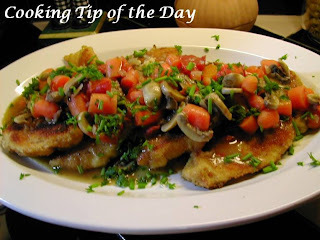 Sprinkle with salt and freshly ground pepper. Layer the onions over the potatoes. Snip some chives over the potatoes. Layer spoonfuls of the sauce over the potatoes. DO NOT completely cover the potatoes with sauce (see picture)… the sauce will expand during baking. Layer another layer of potatoes on top of the sauce. 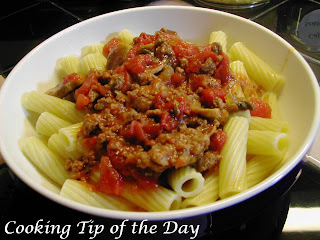 Cover with sauce (a thin layer is sufficient). Sprinkle with cayenne pepper (optional). 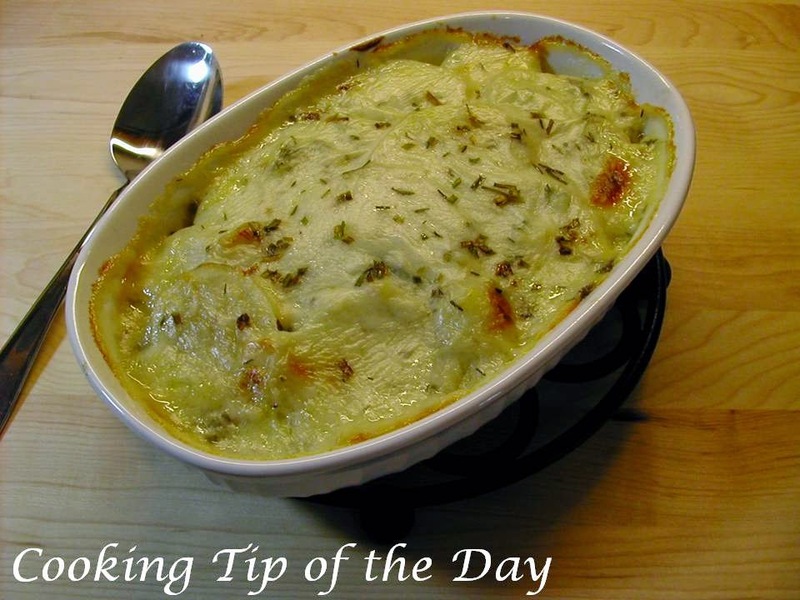 Place baking dish on a cookie sheet (I cover the cookie sheet with foil for easy clean-up if the casserole runs over). Cover the whole top with foil and bake for 45 minutes at 375 degrees F.
Remove the foil and bake another 15 minutes or until casserole is bubbly and top begins to brown. I loved scalloped potatoes (I usually add bacon). I also like the fact that you turned them into potatoes au gratin with the gruyere! 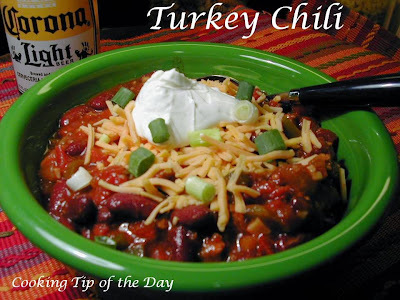 I love this recipe , i haven't eaten something so good like this in years! Although.. we are bacon lovers so that's not such a bad thing.. I'm a lover of all things potato! Especially when cheese is added. This looks awesome! I'll have to try it for sure! This looks very yummy I need to try to make this over the weekend. Enjoy! 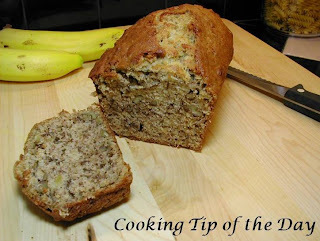 It really is easy and adapts easily to how ever many servings you want to make. I love scalloped potatoes, with lots of cheese, please. I save a few calories by making them with part low-sodium chicken broth, part milk. The broth imparts good flavor to the potatoes. If you are looking for more recipes click the "Older Posts" link to page back to older posts or go to the archives in the right column. The list of labels at the bottom in the right column will help you find specific types of recipes or try our search engine at the top and search by name or ingredient. 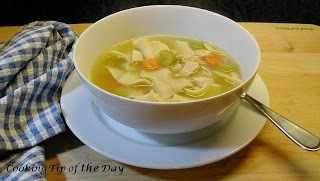 What's more comforting on a cold day than Homemade Chicken Noodle Soup? .. and it's so easy to make! 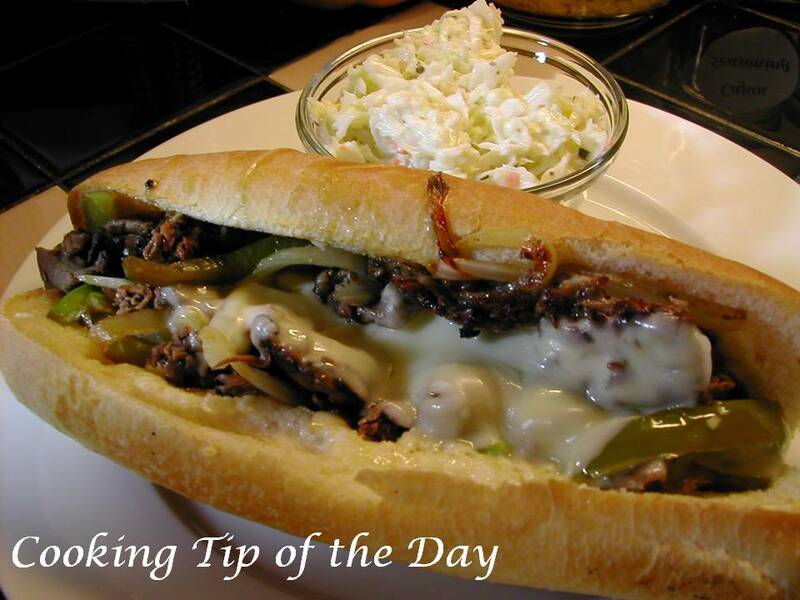 Cooking Tip of the Day is now on Pinterest! The Cooking Tip of the Day Pinterest boards are a quick and easy way to find great recipes.. click the button to go to the boards and then follow me! Hi! I'm Linda and welcome! Glad you stopped by! Feel free to browse the recipes, tips and information... You are always welcome in my kitchen….pour yourself a cup of coffee, sit back and enjoy! 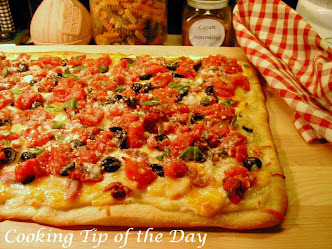 Visit Cooking Tip of the Day's Recipe Collections. 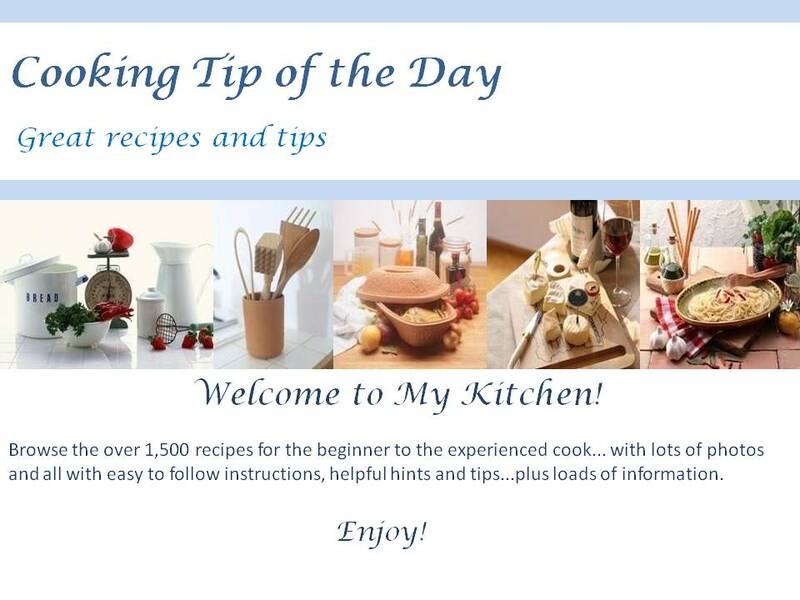 These Collections have been created for an easy way to browse recipes and tips. Just click the picture to go to the Collection. TRIED ONE OF MY RECIPES? Leave a comment or suggestion! I love to hear from you! While almost all of the photos here are produced by us, occasionally we do use second party sources for stock photos if, at the time of post, a picture of our own is unavailable. We choose photos that are a true representation of the food or subject discussed. This is particularly true of some of our Tips and Commentaries. All artwork/photos are credited to the producer if known. Many of these photos are obtained through photo sharing sites and the artists are unknown. If you are the artist/producer of any works on this site, feel free to email me at cookingtipoftheday@gmail.com and credit will be given. 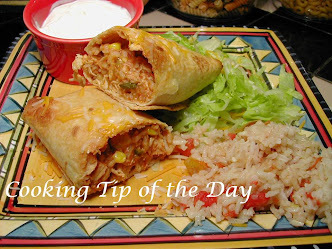 Copyright 2008-2018 by Linda M. Hendricks-Percell/Cooking Tip of the Day. All rights reserved. No part of this blog, including photographs/writings can be reproduced, copied or disseminated without the express written permission from Linda M. Hendricks-Percell.